Born to Colombian immigrants in Queens, New York, Jimmy had to face adversity early in life. Jimmy was born deaf and not discovered till age 5. Jimmy fought hard to overcome his speech impediment through years of speech therapy. He overcame that obstacle, only to lose his mother to lung cancer when he was only 16. Years later, Jimmy was able to obtain his degree in Marketing at Baruch College in lower Manhattan while working full time. Jimmy decided that a change of pace would benefit his life greatly. He decided to move to Orlando Florida on the one year anniversary of the 9/11 terrorist attacks. Taking only his car and 2 garbage bags full of his clothes. Nothing more. Early in his career, he started in retail. In true Jimmy fashion, he worked up from a part time seasonal associate to becoming the youngest district manager in the history of Burlington Coat Factory running 10 stores in the highest volume district in the company, The Orlando / Miami region. Upon much success in that position, Jimmy was promoted once again to being the Regional Merchandising Training Manager for the entire state of Florida which entailed 22 stores. After 10 years in Retail, Jimmy felt unfulfilled in life and decided to have a complete change of career in 2009. Insurance Sales. Taking a huge risk and not being the fastest learner, Jimmy needed to work a 2nd job working third shift at 7-11 to make ends meet. Through hard work and persistence and never giving up on his dreams, Jimmy has been able to achieve success he could only imagine years previous. He has been Agent of the Month on 18 different occasions. Agent of the Year for his local branch 3 consecutive years. Summer Sales Campaign qualifier 3 consecutive years in a row. Million Dollar Round Table Qualifier in 2014. 54th out of 5000 agents in 2014. 6 figure income earner the last two consecutive years. Blessed and lucky to have his wife, Ysavith, stand by his side for every moment of this great adventure. Jimmy has a 21 year old stepson, 3 dogs and now somehow a cat. Jimmy is a passionate die hard NY Mets Fan and aspires to become a professional poker player later in life. Jimmy is truly grateful to have impacted over 800 families and counting! 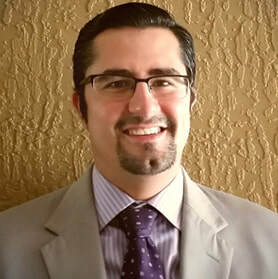 "Jimmy Bejarano helped me structure my Life Insurance Policy suitable to me and my Fiance’s needs! I’m definitely going to refer him to all my family, friends, and co-workers! Thanks Jimmy! You’re the man!" The team at Florida Legacy Advisors is dedicated to their customers. They know exactly what the client needs and what is best of us. Their attention to detail and making sure the client has the best is unmatched. I highly recommend Florida Legacy Advisors. They have my life policy and my mother's medicare supplement plan. "Jimmy B. and his associate Yvonne took the time to find the best policy that works for me and my family at the price for our budget. They will meet with you anywhere that is convenient for you. I highly recommend choosing Jimmy B. to help you find the best policy for your life Insurance." "My agent, Jimmy Bejarano, is awesome! He knew that I was looking to put some money to work for me and that I didn't know much about my options. After a discussion about what I was looking for and explaining my options in terms that I could understand, his instincts were right on the mark as he found exactly the kind of investment I was looking for. Couldn't be happier!" "Jimmy Bejarano is the best!! I wouldn't go to anywhere else for my insurance. He really cares about your needs and doesn't try to sell you something you don't need."